The Kenrico Ion Shower Head EX comes with both handheld and wall mount. 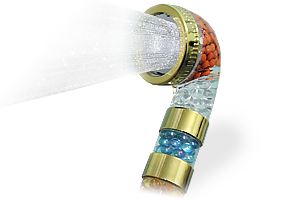 On the other hand, the Kenrico Ion Shower Head LE comes in handheld only. However, many people has converted the LE into wallmount using an L adapter to take advantage of its superiority over the EX model. The L adapter can be purchased from your local home improvement stores. To ensure that we can provide the best support to our customers, please fill out the application form. Once the application form is submitted, we will refer you to the closest place where you can purchase Kenrico products. 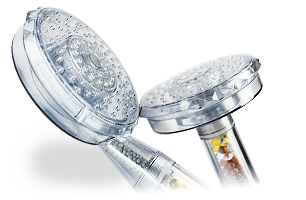 Ion Shower Head LE with natural hot spring minerals to soothe away stress and rejuvenate facial skin, scalp and hair.